As a thank you to everyone who signs up for a SmartFile for Developers account and participates in our survey, we are going to begin highlighting projects that people just like you have created using SmartFile for Developers! Y’all have been building some cool projects and we want to share them with the rest of the developer community. Today’s Developer Showcase Spotlight is on the web application AllUrMailz created by Luke Kennedy and Alex Mullans aka Rose-Hulman’s Team Charlie for the 2013 SmartFile Bake-Off Competition earlier this year. 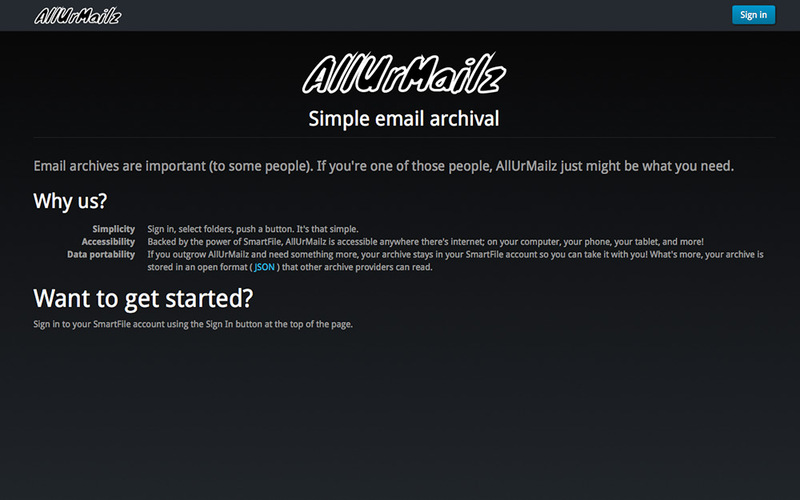 AllUrMailz allows users to archive emails to their SmartFile account from anywhere, so long as there is an internet connection, on any device! Now you can save your important emails and access them through your SmartFile account! You never have to worry about going over the size limit in your mailbox or the size of your files again. Sign in, select folders, push a button, it’s that simple. The archive created by AllUrMailz is stored in an open format (JSON), which allows other archive providers to read it. This web app is built with SmartFile’s API and uses SmartFile’s platform to host all files. For more information about the AllUrMailz web app, click here. While you are there, you can also browse other Developer Showcase projects from our gallery. 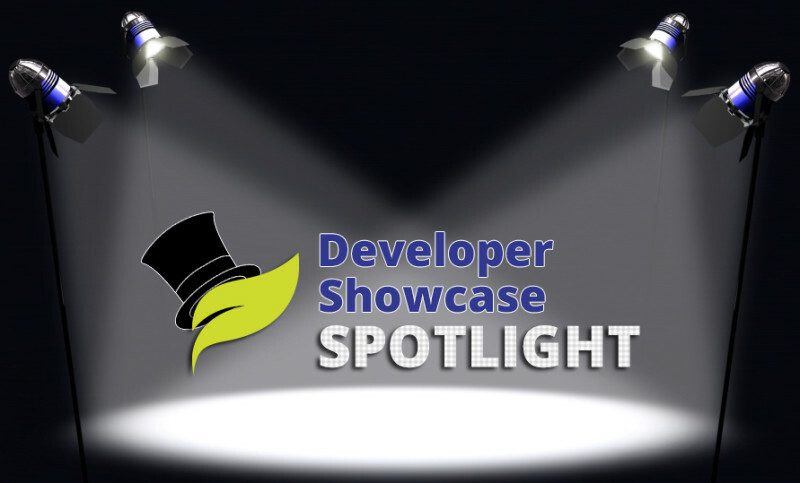 Want your project to be in the Developer Showcase spotlight next? We hope so! Drop us a line here and tell us what you’re creating using SmartFIle and/or the SmartFile API. We want to feature a new project each week and we need your submission to do so. Feel free to submit as many projects as you’d like! Hogging the spotlight is encouraged. Still don’t have a SmartFile for Developers account? Really?! Well, then you’d better sign up for free here. Hurry, though … spots are filling up quickly! The first 3,000 developers to sign up get 100GB storage space, unlimited data transfers, and unlimited API requests. What kind of projects would you like to see featured? Let us know in the comments below!